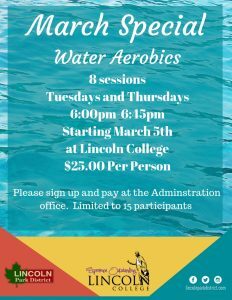 *Water Aerobics will be held at the Lincoln College. This is a Pre-Registered event. Sign up at the Administrative Office. Max 15 Participants.